Control gorse in two stages. First, control established plants. Second, control new plants emerging from seeds that may have been resting in the soil for as long as 30 years. The most effective control program usually combines herbicides, burning, and cultivation or mowing. 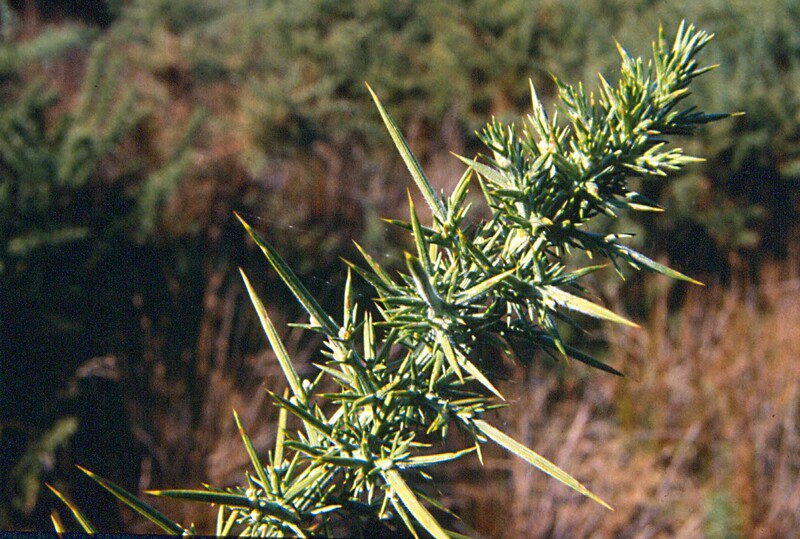 Establishing competitive pasture species, forest trees, or other crops helps resist gorse invasion as well as other weeds. 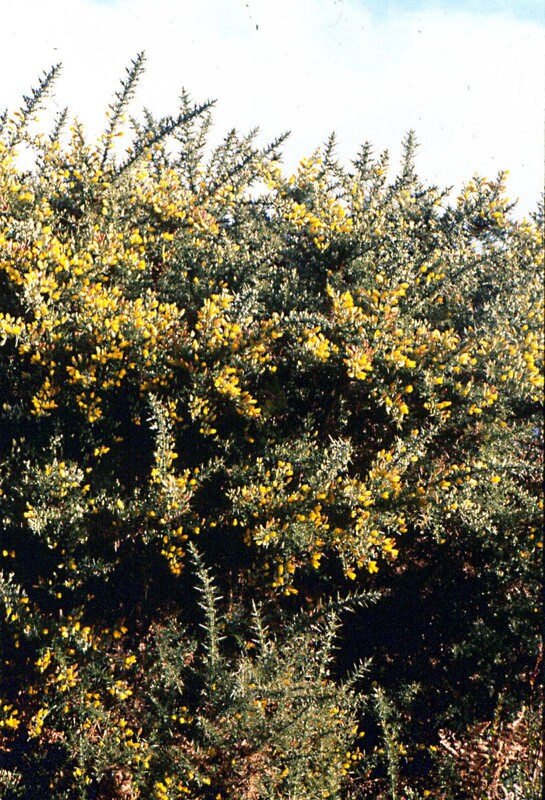 A publication on the biology and control of gorse (Gorse, PNW 379, revised July 2001) is available from the Extension Service. When using herbicides, it is crucial to thoroughly wet foliage. Best timing is after bloom drop, but applications at other times usually give good control also. Rate 0.75 to 1.5 lb ae/a or 0.5 to 1% concentration for handgun sprayer application. Time Apply to actively growing plants after bloom drop in the spring. Caution Do not let spray drift onto agricultural crops. Do not graze dairy animals within 7 days after application. Time Apply to actively growing woody plants. Remarks Adjuvants can be used; these include methylated seed oils 0.5 to 1% v/v, nonionic surfactants at 0.25 to 1% v/v, and crop oil concentrates at 1% v/v.Can be applied using an invert emulsion rather than water. There are several application methods that dictate the amount of product to be mixed with the carrier, so consult the label. In addition to woody species, controls many herbaceous species. Caution Even low rates can kill nontarget tree and shrub species, so avoid application within a distance equal to the tree height of the sensitive species. Conifers can be injured, these include ponderosa pine, Douglas fir, Norway spruce, and white pine. Other trees that can be injured include aspen, Chinese tallow, cottonwoods, honey locust, magnolia, poplars, redbud, silver maple, and willow. Applications to stressed plants may reduce control. Do not allow spray to drift off target. Rate 0.75 to 1.5 lb ae/a or 0.5% to 1% concentration for handgun sprayer application. Caution No waiting period between treatment and grazing for nonlactating animals (see label for restrictions on dairy animals). Remove meat animals from treated areas 30 days before slaughter. Rates above 2 lb ai/a may temporarily injure many grass species. Newly seeded grass (see label) may be injured at rates above 0.75 lb ai/a. Do not exceed 8 lb ai/a per season. Kills legumes. Rate 1.5 to 3 lb ae/a or 1.5 to 2% solution for handgun sprayer application. Remarks Adding a recommended surfactant improves results. Caution Glyphosate kills grasses and most other desirable species needed to compete with new gorse plants. Time Apply to actively growing plants after bloom drop in spring. Remarks Include a silicon-based surfactant. Application sites differ among products; consult labels. Caution Do not let spray drift onto agricultural crops. Apply only to pasture, rangeland, and non-crop sites. Rate 0.5% concentration for application with a handgun sprayer. Remarks Adding a suitable surfactant at 0.25 to 0.5% will improve results. Caution Most formulations are restricted-use. Refer to labels for grazing restrictions. Avoid drift to sensitive crops. Rate 0.5% to 2% concentration for application with a handgun sprayer. Time Apply to actively growing plants after bloom drop in the spring. Garlon 4 and Crossbow can be used for basal bark applications any time of year. Remarks Adding 0.25% to 0.5% of a suitable surfactant to Garlon 3A improves results. No surfactant is needed with Garlon 4 or Remedy. Use the higher rates on larger plants and on solid stands of old plants. Caution Garlon products are registered for use on rights-of-way, industrial sites, and forestry (release and site preparation). Crossbow and Remedy can be used on permanent pastures and rangeland up to 1.5 lb ae/a. Observe all grazing and harvesting restrictions.